This time of year, everyone is feeling a little Irish, and in celebration of that, a Brooklyn ice cream shop, OddFellows, is offering a limited-time flight of Irish whiskey ice creams. OddFellows, which is located in Williamsburg, Brooklyn began offering the flight of three different Irish whiskey ice creams this past weekend and it will be available until the end of April for $10. The flavors include Dead Rabbit Irish Coffee ice-cream made with Clontarf 1014 Irish Whiskey (modeled after Dale Degroff’s Irish Coffee served at renowned Dead Rabbit bar in lower Manhattan), Knappogue Castle 12-year single malt Irish Whiskey ice-cream, and Little Boo Boo Bakery burnt Knappogue Castle 12-year marshmallow ice-cream. "I'm a huge fan of Irish whiskey so when the opportunity came to work with both Knappogue and Clontarf for St. Patrick’s Day it was an ideal chance to experiment. 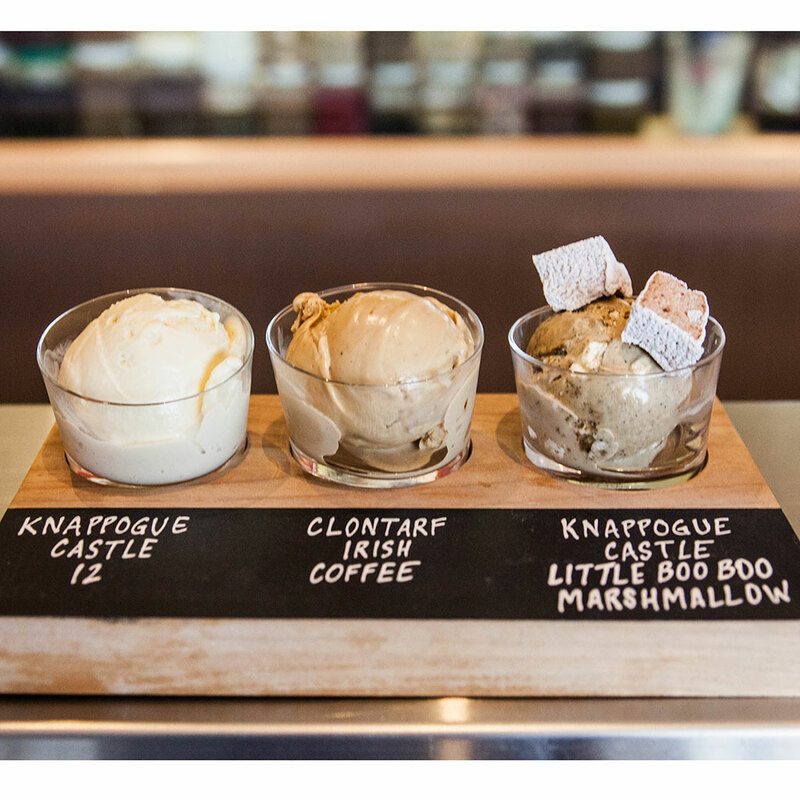 The flight brings out Knappogue’s fruitiness and spice and Clontarf’s malt and sweetness in a way that really highlights the whiskey," says OddFellows owner Sam Mason. As temperatures in New York City for St. Patrick’s Day are supposed to hover in the mid ‘60s, it just may be warm enough to rationalize going out for ice cream. If not, that whiskey buzz should keep your body heat up!